Time Zones: 5 hours behind Greenwich Mean Time (-5 GMT). Daylight Saving Time is not observed. Phone Codes: 51, country code; 01, city code for Lima; 084, city code for Cusco; 051, city code for Puno; 054, city code for Arequipa; 065, city code for Iquitos. Peru is a land of superlatives, home to the world’s highest navigable lake, the deepest canyon, the most ecologically diverse forest. This variety of landscape means that, in an area the size of Alaska, you can go sand boarding in the desert, look for toucans in the rainforest, explore ancient Inca ruins, stand on a high cliff as condors soar beneath you, visit a floating island, trek to a glacier, and catch waves on the coast. If you love nature and adventure, this is paradise. Along with the famous Inca civilization – creators of the world-renowned ancient wonder, Machu Picchu – the Nazca, Moche, Chavin and other pre-Colombian cultures all left their own archaeological treasures. 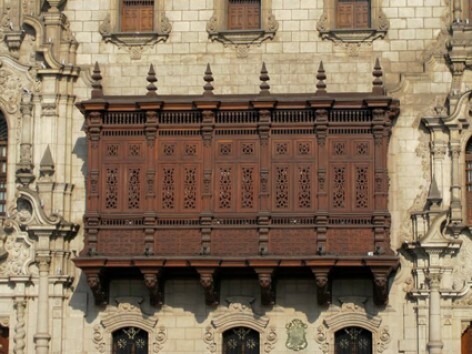 Modern civilizations added still more layers, beginning with the Spanish, who claimed Peru from 1535 until 1821, and built lavish, Colonial churches and mansions that often blended European and indigenous styles. More recently, immigrants from China and Japan have added their own influences to the cultural mix (including new fusion cuisines like Cantonese-Peruvian and Japanese-Peruvian). As Peru’s economy has improved over the last 10 years, so has its tourism infrastructure – traveling from one region to another is much easier now. The local airlines are efficient and well-organized, and the luxury trains to Machu Picchu and Lake Titicaca are well worth taking. Although we were only there a week, we were able to tour Lima, visit the Amazon rainforest, explore Cusco and the Sacred Valley, and enjoy a magical two days at Machu Picchu. Cusco was charming and fascinating, Machu Picchu was beyond expectations, and the food was simply incredible! If we had two weeks, we might have gone to Paracas for a desert safari and an aerial tour of the famous Nazca lines, or maybe to the stunning colonial city of Arequipa and nearby Colca Canyon.